This webinar is designed for anyone who is interested in how the incarcerated experience occurs, from the perspective of a chaplain that is committed to making a difference in the lives of the incarcerated. NOTE: This presentation is given from the presenter's perspective only. It is a sharing of how the transformative experience within the prison setting has and is occurring for her in the role of chaplain. 1. To gain knowledge of the role of a chaplain in a prison setting. 2. To develop an understanding of how transformation occurs within the prison setting. 3. To understand how the chaplain facilitates the space for transformation occurrence. Rev. 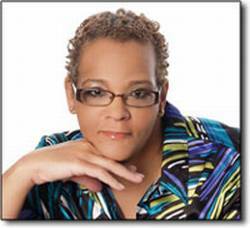 Shiela Campbell MDiv BCC is a Protestant chaplain employed for the New York Department of Corrections. She serves in a 1,700-bed medium classified prison in upstate New York. In addition, she serves as vice-president for the New York Association of Protestant Chaplains.